Everyone gets the best seat in the house when they?re seated at this handsome mixed media metal and glass modern bar set. This set comes with four upholstered stools making it ideal for small get-togethers with close friends. 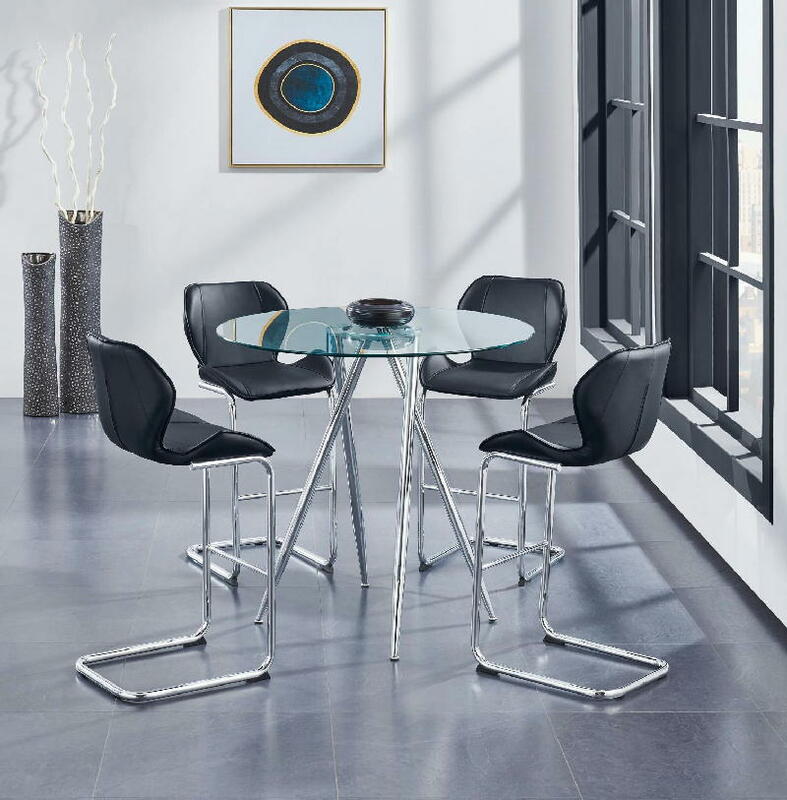 The stools are upholstered in gray polyurethane which makes them easy to clean and a sense to care for, all without the maintenance requirements of leather. 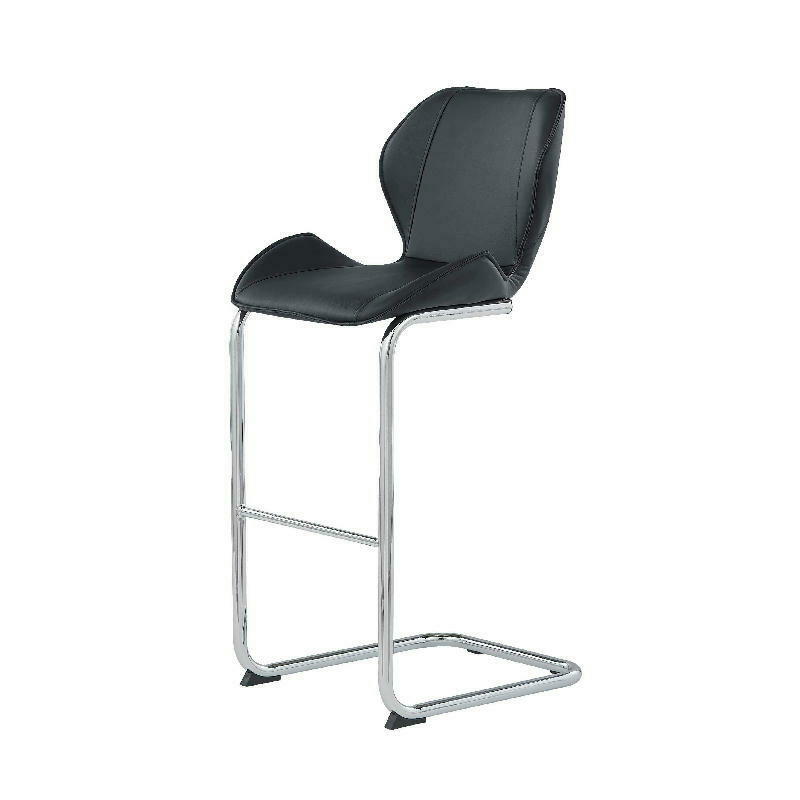 The contoured backs make sitting comfortable, and the included bar table offers plenty of legroom so that guests can get comfortable. 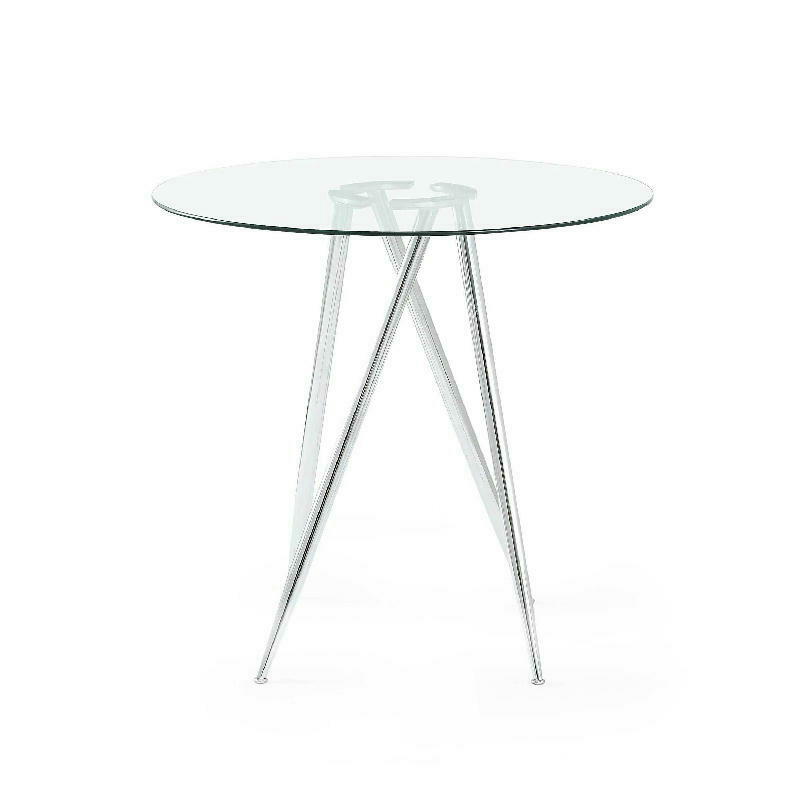 The table has a glass top that?s thick and built for heavy daily use, and it?s clear so that you can see the artfully styled base below.